Coming back to Rome feels like meeting up with a old friend you haven’t seen in a long time. 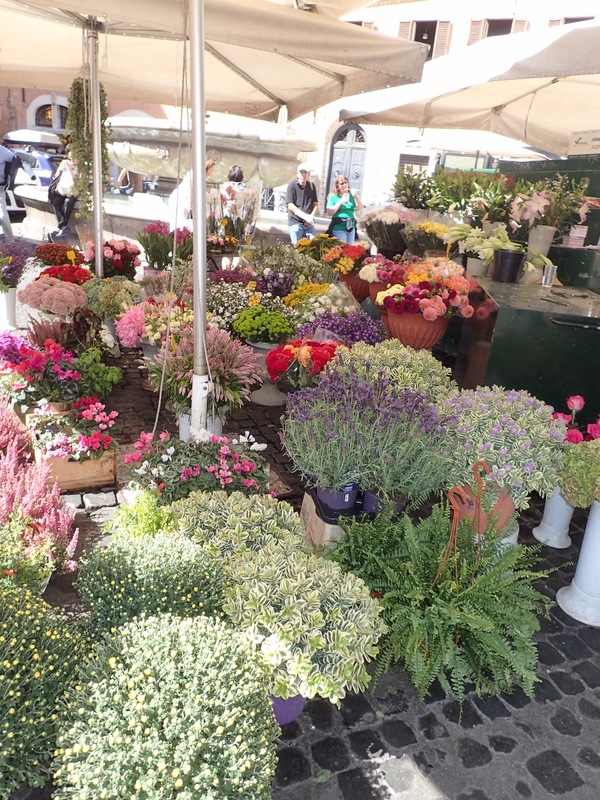 On our first trip here nearly 20 years ago we found a hotel, The Smeraldo, that fit our budget, was centrally located and just around the corner from the Campo Di Fiori. Each trip since this hotel has been our headquarters which is probably part of the reason we feel so at home in Rome. And yet each time we’re here, we end up finding a never-before-seen street in the maze within a couple hundred yards of The Smeraldo. We’ve toured all the major sites — Pantheon, Forum, Colosseum — years ago. Now we just soak up the spirit of the city and wander through the morning markets. And we eat and drink. 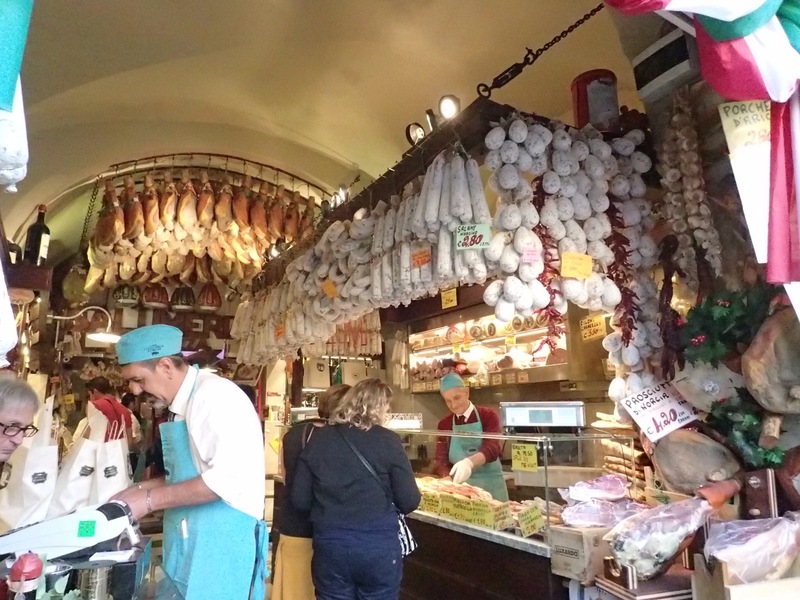 It’s hard to find a bad meal in Rome, although we do have a few rules. If the restaurant has a guy out front luring tourists in, walk on by. If there’s a sign out front offering a tourist menu, keep looking. Go beyond the main square a few yards down smaller streets and you’ll find better food at better prices, but usually without the great people watching & romance the main squares provide. If there is one or more drop dead gorgeous women dining, plan on the male wait staff ignoring you. 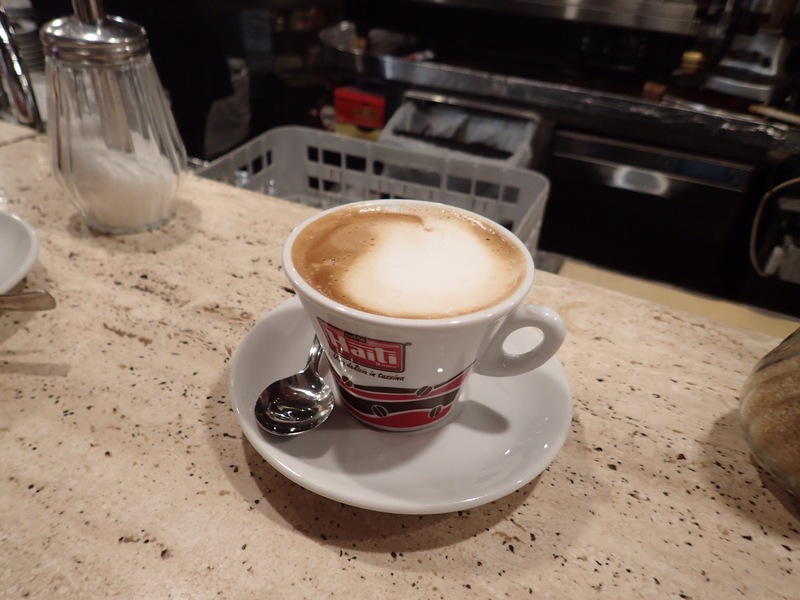 And be sure to order what maybe the best part of any meal in Italy — espresso! However, order your espresso with milk only in the morning! And like the best kind of old friend, Rome still surprises & delights us. 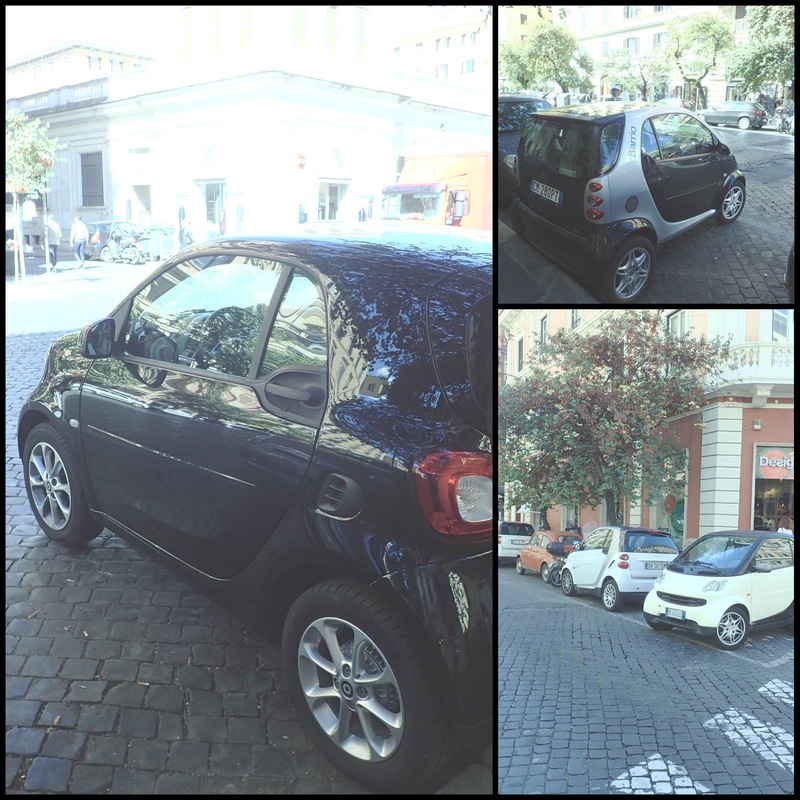 This trip, as recent converts to the ease and economy of Smart cars, we were amazed at the proliferation of this little gem every where. We started counting how many we would see parked in one block — 3, 4 or more not uncommon. And given the parking and narrow streets in Rome, home of the well-dressed man on Vespa, not a surprise. At one point we had thought traveling in Europe in September would be perfect — good weather, best of the summer harvest and fewer people. Guess we’ll have to take two out of three. Yes, the temperatures in Southern Europe are nearly ideal for touring. And the food available in the markets is amazing. But the crowds are as large as any we ever saw traveling in July and August. Partly it’s the global economy with more folks from more countries able to afford travel. Partly it’s aging baby boomers who are retiring and traveling in droves. And I suspect it is also Millenials and Generation Xers who place a higher priority on travel. Whatever the cause, Rome is packed in September which would mean for first timers and site seekers, book as many museum and historical site tours you can ahead of time to avoid the long lines. For those returning again and again, plan on soaking up the ambiance of Rome and exploring new, less well known neighborhoods. Bottom line: travel in September is better than July and August if you change your expectations.